We’ve had quite a few good topics about the best counters for all gen IV legendary raids, but I’d like to take a look at readily available options that can 5-man all of gen IV. Given that approach, I am not recommending that anyone go build this precise set of 10 Pokemon: it’s easy to do better! Rather, if you are concerned that you don’t have coverage for all of gen IV legendary raids, here’s an interesting place to start & then add some of your own Pokemon to see how you can make it even better. With that in mind, I’m going to build 2 main teams: A fighting team & an anti-psychic team. I’ll reduce the # of Pokemon required by using 2 generalists and I won’t build a dragon team: all the best counters are significantly harder to obtain and I can beat them with other options. Keep in mind that my goal isn’t solely to get the best TTW. Instead, it’s to ensure that a 5 man is possible while using readily available Pokemon. I’m going to measure viability by using Pokebattler’s team estimator value, which models the # of trainers you’d need to defeat the raid if everyone had those 6 Pokemon. Typically you want some buffer, so I’d say 4.6 is a decent cutoff to ensure you can 5-man with similar trainers. I’m going to use Bullet Punch Meteor Mash Metagross for my 2 generalists. If you have more specialists, you should just use them instead as Metagross isn’t optimized for any of these bosses. If you don’t have MM Metagross then you likely have more specialists that are better anyway or can obtain some. Here’s the team to run your own raid simulations. All three of these were available in recent events, though two of them were only available for 3 hours. Hex Shadow Ball Gengar is perfectly viable if you don’t have Lick. I’ll share an expanded list of psychic counters later. Note: I can use psychic counters against ghost as well, so I can also reuse this team against Giratina! Whew, that’s one dragon raid accounted for. If you check below, you’ll see that this team easily 5-mans all the psychics + Giratina and it should be possible to 3 man Azelf + Deoxys! Machamp is readily available from raids & Hariyama are low cost to evolve (though availability varies some by biome). There are a few other viable fighting options as well, which I’ll list below. This team will easily do 4 man raids for its intended counters & 5 man should be trivial! Heatran hard counters steel and Dialga also resist it, so we need to sub in Gengar for Metagross against them. None of these Pokemon are great Palkia counters, but sticking to our constraints of minimizing the # of Pokemon to raise, they do enable a 5 man raid. Once you get a Palkia you can dramatically improve your raid team by using it against itself (even at L20). What about Arceus? Well, it’d take too long to show each form, but the hardest type to deal with is water with an estimator score of 4.49. Try experimenting for yourself with the Pokebattler team I made. I’m not going to make a full list or talk about top meta counters that are in every other post. You can go to the raid guides and get that yourself, but here are some other options I want to highlight to show that you don’t need just the above specific Pokemon to do budget 5 mans. 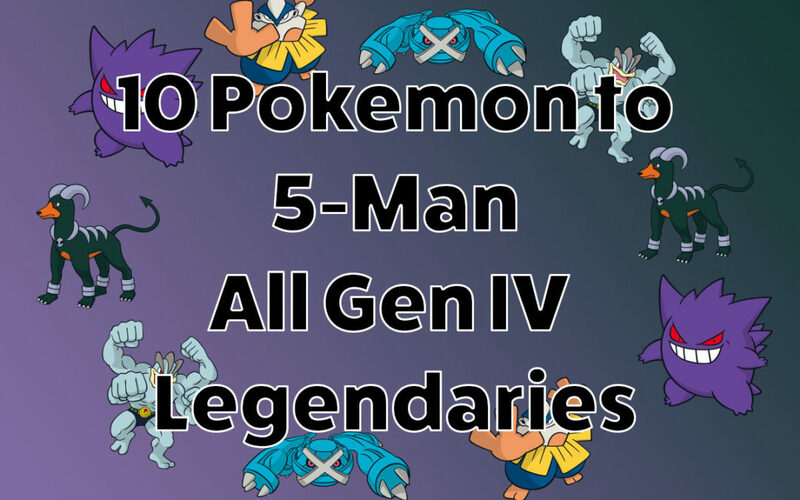 I am going to mention a few Legendaries here, but only ones that are available as part of Gen IV. Tyranitar is quite hard to obtain by catching, but the raids are available and it is a great all around combination of DPS (3rd after Lick Gengar & Shadow Ball (legacy) Mewtwo) and Total Damage Done (best) against psychics. Pinsir was readily available in a recent 2-day event & Shuppet was everywhere during Halloween. Driflblim is also usable, but given the recent availability of Pinsir and Banette, I see little reason to go down to that tier. Note: Tyranitar and Banette can also be used against Giratina. 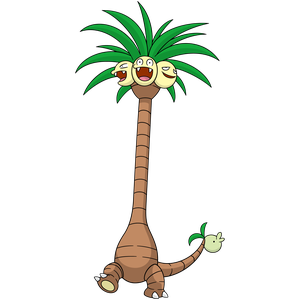 Breloom is around most grass biomes, if not abundant, and Heracross is easy if you happen to be in the region. Lucario is also now available, but likely it’s easier to make Breloom and Hariyama for most of us. Blaziken could be OK, but I’d recommend saving candy for community day. You can use most of the psychic counters against Giratina (minus bug), but counters for Palkia are really hard to obtain. Level 20 Dialga & Palkia are better than my budget level 30 counters, so use them when you get them, even if you don’t plan to power them up. I wouldn’t recommend powering up Giratina at all .. but a level 25 weather boosted specimen is somewhat better than the level 30 Lick SB Gengar. You can just use the fighting squad against Heatran, but there are a bunch of other options if you don’t have 6 strong fighting types. Once you have coverage for gen IV legendary raids, here are some further steps you can take to optimize your teams. These guys are constantly useful for raids and gyms & will continue to be the best fighting type until at least gen V (assuming Conkeldurr gets counter & dynamic punch) Even then they’ll still be great. You don’t need to jump straight to 40, instead; I’d recommend a mix of raising high IV Machamp from raids to 30 and evolving 30+ wild caught Machops (and then don’t raise the wild caught ones much if at all). This will make a huge difference vs Palkia, help a bit vs Giratina as well and there are 3 more legendary dragons coming in gen V. I’d recommend walking a Dratini, because Bagon is likely to get a community day & the associated candy bonanza. Of course, Rayquaza edges both pseudo-legendaries out, but he may not return for some time. Sneasel are somewhat hard to find, but hopefully you got a few from quests during Halloween to evolve into Weavile. On the other han,d Murkrow are everywhere! Trade your level 25+ Murkrow and you should be able to save a few lucky ones for evolving into Honchkrow. Weavile will become the highest dark DPS & edge out Tyrantiar for 3rd best DPS against psychics, but come with lower TDO. Honchkrow will be a bit lower DPS and TDO than Weavile but it is supremely available & quite usable. Rhyhorn are available in many places, so save up some candy if you can, but Rhyperior isn’t useful against as many legendaries (mostly just Heatran, but it’s decent vs Dialga), so it’s a lower priority. While it’s understandable that we often focus on the absolute best counters, I hope this has shown that 5 ( or even 3 or 4 ) man raids are obtainable without grinding for six copies of every single meta Pokemon. That’s not to say that we shouldn’t still aim to be the very best, but sometimes an obtainable goal is a great first step! To help take the next step, be sure to check out the raid guides for specific gen IV legendaries. Thanks for reading & best of luck with gen IV!